Make a great first impression with a properly worded introduction of your company and of your social media services. 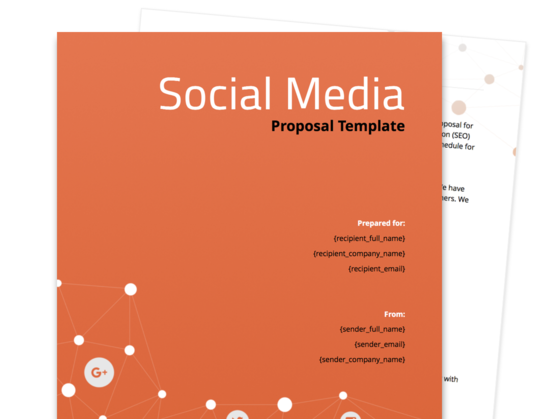 Effectively outline the parts of your proposed comprehensive and coordinated social media program. 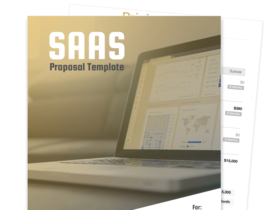 Concisely present your project deliverables and define the responsibilities of each member of your team, including your project managers, social media specialists, and content specialists. Provide your prospective clients with a straightforward project cost estimate that details the fees for each component of your engagement. Digital marketing agencies or social media marketing firms that aim to deliver effective social media marketing campaigns or programs to potential clients. 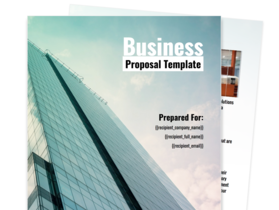 As with any other proposal, it’s important to headline your social media proposal with an introduction about your company and your services. This section lets you clearly define the nature of your business as well as describe the social media marketing program that you plan to deliver. Key to building rapport with potential customers is humanizing your approach when it comes to introducing your business. This section helps you accomplish this goal by serving as a brief backgrounder about the key personnel of your company. The individual profiles detail your people’s educational background, professional experience, and areas of expertise, helping build trust early on among the recipients of your proposal. After establishing your identity and goals as a company, it’s time to specify the services that your offer. This is the section where you do just that. Here, you can detail how exactly you plan to carry out a comprehensive and coordinated social media campaign, a task which may include identifying the main social media strategy, creating and updating the client’s social media accounts, as well as scheduling and creating relevant content and activities for their social media campaigns. 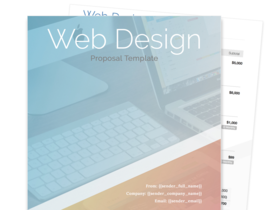 Your proposal can also include a short list of your planned deliverables, which is basically a schedule of the services that you plan to provide as part of the engagement. Here, you can detail who among your team will be part of the project, what their responsibilities are, and what sort of activities and content portfolio they can design and generate for the project. Project cost estimation is necessary because what services you can provide your client all boils down to what they can afford in the first place. This section itemizes the fees for each component of the engagement, be it a full audit of a website, continuing social media management, or writing blog articles every month. To cap everything off, it’s also important to have a terms and agreement section in your proposal where you can summarize and formalize your obligations to your client.